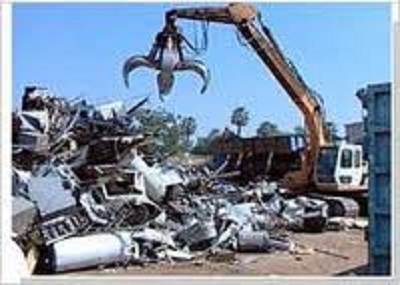 WASHINGTON : Scrap metal recycling rates in North America are continuing to rise, according to recent reports. This is especially true for steel scrap, the most commonly recycled material in the United States. Each year, more steel is recycled than paper, aluminum, plastic, and glass combined. In fact, the Steel Recycling Institute (SRI) announced that the recycling rate for steel is now at a new high of 92%.The SRI reports than in 2011, over 85 million tons of steel scrap metal was processed, representing an increase of nearly 10 million tons compared to 2010. Steel scrap metal is sourced in many ways from a myriad of industrial, commercial, and household items. These include construction and industrial materials, commercial packaging, and household appliances, and automobiles. Steel is popular material because of its strength and quality and because it is so effectively recycled, allowing for a more sustainable product life cycle. The most recent recycling rates for steel scrap metal show a definitive rise in the process. These recycling rates are sourced from the SRI and are based on data provided by industry association reports including the automotive, appliance, and scrap metal recycling industries and U.S. Geological and EPA surveys. 2) Automotive Metal Recycling Rates: 94.5% – down from over 100% for the last several years. Each of these industries, and others like it, continue to show progress increasing the rate of scrap metal recycling.